A new book reminds us that mothers are voices from the front lines that we all need to hear. In February, Illinois lawmakers introduced a bill that would bar a woman from receiving state aid for her child if she refused to list the father or another financially responsible family member on the birth certificate. Unless she agreed to this intrusion into her family’s privacy, she’d be denied both public assistance and a birth certificate for her child. News reports such as the one that brought this legislation to national attention often describe the problems mothers on the margins face, but it’s rare that we hear women who fall outside idealized notions of motherhood speak for themselves. 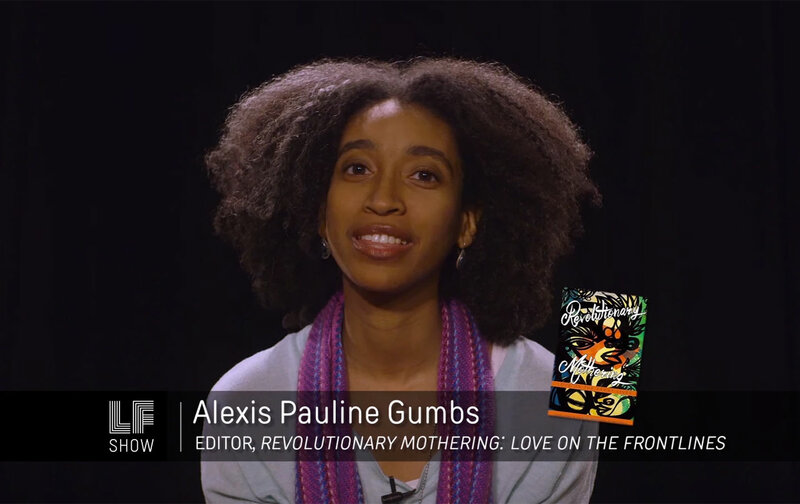 The book Revolutionary Mothering: Love on the Front Lines, published earlier this year by PM Press, sets out to change that. It showcases the parenting experiences of people in poverty, teenagers, women with children in the court system, unmarried women, women committed to radical politics, and others too often overlooked in public discourse on parenting. The contributors to the anthology, edited by Alexis Pauline Gumbs, China Martens, and Mai’a Williams, are not victims acted upon by policies or pushed into ill-fitting categories by politicians. Instead, they are experts on their own lives, presenting solutions for the challenges they face and stories of the transformations they’ve experienced through mothering or being mothered. Still, the book is firmly in the tradition of earlier feminist works that presented the testimonies of women of color. In her preface, Loretta J. Ross, co-founder of the reproductive-justice organization SisterSong, describes how in the 1970s and ’80s Cherríe Moraga, Gloria E. Anzaldúa, bell hooks, Toni Cade Bambara, and others articulated an evolving feminism that was relevant to and led by women of color. Ross writes of feeling as if books such as Moraga and Anzaldúa’s This Bridge Called My Back and hooks’ Ain’t I a Woman spoke directly to her as a black feminist in her 20s. Revolutionary Mothering attempts to do something similar for a new generation grappling with how race, ethnicity, sexuality, and other aspects of identity affect the way they love. In the book, Mai’a Wiliams addresses the stigma attached to midwifery, particularly among members of the black middle class who consider out-of-hospital birth backward, a remnant of the Jim Crow days when the medical establishment left black women to fend for themselves during pregnancy and childbirth. Her short essay highlights the absence of black midwives, particularly the granny midwives that Williams writes were historically central to black communities, from today’s boom in the use of largely white midwives and doulas. Norma Angelica Marrun describes being 12 years old and separated from her mother by immigration policies that allowed her to stay in the United States but forced her mother to return to Mexico. Victoria Law explains in detail how she learned to mother while maintaining and deepening her commitments to organizing and activism. Lisa Factora-Borchers tells the story of giving birth, as she puts it, “to two things: a 9 lb. 7 oz. son and a new feminism.” While healing from a cesarean section, she decides that there are two kinds of feminism, what she calls “the feminism of issues and the feminism of our lives.” The former is concerned with whether people call themselves feminists and whether feminism is dying. The latter is concerned with whether women themselves are dying and the complexities of their experiences while they live. The testimonies in Revolutionary Mothering offer readers a deep dive into the feminism of its contributors’ lives. The book is a necessary reminder that beyond the headlines, position papers, and generalizations made about mothers are voices from the front lines that we all need to hear.